Dishwashers are among the most widely used and popular home appliances that make life easier for busy home makers. However, like other electronic products a dishwasher can also develop snags at times. When that happens should you hit the panic button? Not at all as long as you know what the problem is. Why does a dishwasher stop working? A dishwasher is an electronic appliance with lots of moving parts. With continued usage, these parts tend to get worn out and certain other factors like electrical surges, voltage fluctuations and usage patterns can take a toll on the longevity of the device. Before calling the service centre when a dishwasher stops working or malfunctions, you can try to diagnose and troubleshoot the problem yourself. Here are 5 Reasons why your dishwasher is not working the way it should. Power supply problems: When there is a power supply related anomaly, the dishwasher may not work at all. If you find your dishwasher not working, check for any fuses and circuit breakers that have stopped working. The electrical cord and plug also needs to be checked. Sometimes, the device may not start if the door latch is not closed properly. Water draining problems: A clogged drain pipe may also lead to problem with the dishwasher. It is important that you keep the drain clean. 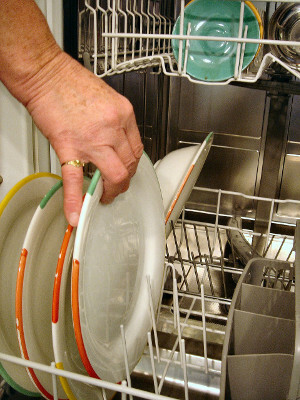 Before you insert the plates and dishes in the slots, ensure that you remove the debris and food particles carefully. This will ensure that the drain hose does not get clogged. Noise: Most home appliances, including dishwashers make some amount of noise. However, if you find that a near-quiet dishwasher is producing an unusual sound and there are vibrations when you run it, there is something wrong! It can be due to damaged or worn out inner parts such as a bearing ring or wash arm seal. These are issue that need prompt attention and without replacement of the faulty part, the longevity of the dishwasher may be shortened. Leakage: This is a common problem for many dishwasher users. When you find the dishwasher is leaking, it is time to check the drainage hose. Even a small crack in the hose may lead to water leakage. Sometimes, a leak can also be triggered by a defective pump. Water filling problems: The dishwasher may sometimes stop filling water. The opposite can also happen and you may find your dishwasher overflowing. This can be caused by a malfunctioning water inlet valve. The float switch also needs to be evaluated in such cases. 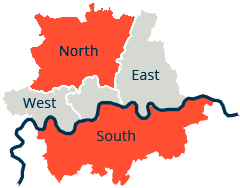 Or advice – if you are not sure you can handle the repair yourself, call in a professional dishwasher repair in London. And, for more serious problems such as cracks inside of the device – a total replacement is the way to go.